As part of my new home server build, I picked up a used Super Micro SC216 chassis. This chassis has 24x 2.5″ drive bays in the front, 3x 80mm fans in the mid-plane, 7 half-height expansion slots in the rear, and dual PSUs. While dual PSUs are overkill, the rest of the features should make for a nice Xeon D based storage chassis. Once the chassis arrived, I noticed that the previous owner had mutilated the 24 pin ATX power cable. The PS-ON, and the GND pin next to it, had been clipped at the connector and spliced together with a crimped pigtail splice. Typically, this is done so that the PSUs are always on when using the chassis as an external JBOD box. Since I would like the soft power button to function properly on the case, this needed to be fixed. Luckily, I had an 24 pin ATX power cable from a dead PSU. Using that cable as a donor, I replaced the PS-ON and GND pins in the power connector. Then, I made a solder splice between the PS-ON (and GND) in the power distributor and the corresponding replacement in the connector. With the lines reconnected, I was able to power up my test board (an old core 2 duo board). Now the chassis is ready for a Xeon D motherboard. Per the request of a commenter on my Netger AirCard 340u (aka AT&T Beam) on Linux post, below are some debugging outputs from both an older AirCard 340u with the 01.05.11.52 firmware (plus v4 linux patch), and a newer AirCard 340u with more modern firmware. Since version 4.4.0, it has been possible to add additional custom template tags to supplement the defaults included in Breadcrumb NavXT. Adding a custom template tag is relatively easy. All one has to do is write a function that hooks into the bcn_template_tags filter and adds the new template tag. bcn_template_tags has three parameters, two for helping identify the resource the breadcrumb represents, and one for the actual replacement set. Today, we’ll focus on the first parameter, the $replacements array. This associative array has the template tag as the key and the value is the actual value that should replace the tag in breadcrumbs. To add a new template tag, simply add a new key-value pair to the array and return the modified $replacements array. In the code above, %template_directory% is the breadcrumb template tag being added; its value is retrieved using the get_bloginfo() function. Simple, right? Tired of waiting for a 3D XPoint based SSD to become available, I decided to grab a 512GB Intel SSD 600p for my XPS 15 9550. The intent was to switch over from Windows 10 to Linux on the 9550 while preserving the original SSD should I want to go back. The actual SSD swap was not too difficult. A Torx T5 and small Phillips screwdriver are needed to remove the back of the 9550 and the m.2 SSD. This being my first NVMe system, I ran into a few gotchas while getting Linux installed. Though, the bulk of the issues are related to Broadcom’s poor Linux support. This issue manifests itself as bands of blue in what should be a dark black gradient. A good example of this is the top AMD Catalyst Control Center as seen below. 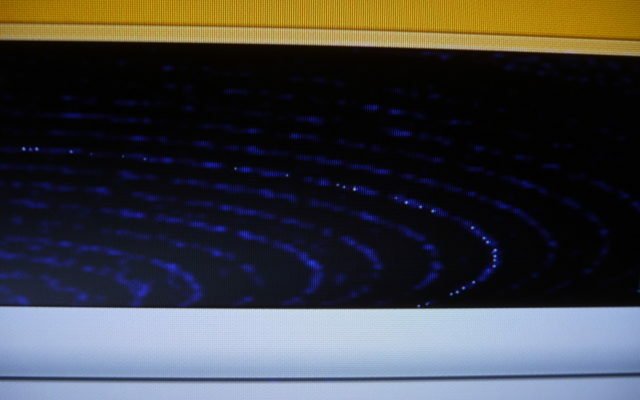 The above is a picture taken by a camera of a TV connected to a Onkyo TX-SR806. The graphics card was set to use the YCbCr 4:4:4 color pixel format in this instance. This causes problems for the TX-SR806 which has problems with certain dark colors, rendering them blue rather than black—directly connecting to the TV does not have this issue. To fix this, change the color pixel format to RGB 4:4:4 mode. For AMD Radeon users, AMD Radeon Software Crimson can do this (in the drop down menu, it is called “RGB 4:4:4 Pixel Format PC Standard (Full RGB)”). Ignoring the moiré pattern due to the alignment of the camera, the dark area looks much better when in RGB 4:4:4 mode. Lastly, this is not an AMD specific issue. 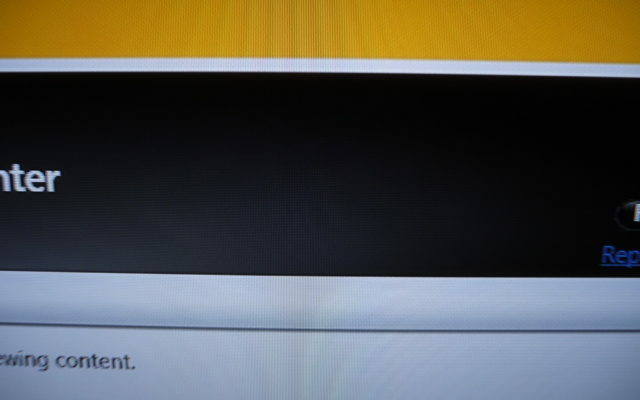 The previous HTPC which had Intel graphics also exhibited the same behavior.